Today, Pennsbury sits on 43 acres of peaceful green space in Bucks County, Pennsylvania. The Manor itself is furnished with an outstanding collection of late 17th-century furniture and objects, while the outbuildings contain reproductions that allow visitors to experience history through demonstrations and hands-on activities. Our gardens contain heritage plants, while our stables house the resident farm animals who represent their colonial counterparts. 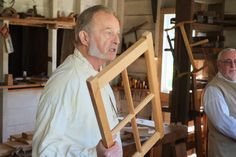 Join us at one of our Sundays at Pennsbury events, offered April through October, where you can watch our colonial craftspeople demonstrate their skill at open hearth cooking, joynery, or blacksmithing; learn about the gardens and gardeners, or visit with our animals and discover what their role was in the 17th Century. 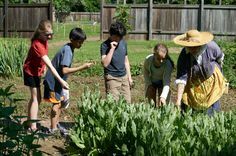 Pennsbury Manor’s “signature Hands-on-History” approach to learning means that visitors of all ages can have a lively and interactive experience. With our dedication to careful and on-going research, we are continually updating our exhibits and information. Pennsbury Manor is owned and administered by the Pennsylvania Historical and Museum Commission, a Commonwealth agency. The Pennsbury Society is a private non-profit organization that works with the Commonwealth to provide educational programs and initiatives.